Rosi4, spades, DaoRisa and 10 others like this. RoseIsMe, Rachfull, DaoRisa and 11 others like this. Thanks for making this . MissPK, Fikachu, SuzieJ and 1 other person like this. Omgggg yessss i was wondering if they were fitting for a new lakorn..
DaoRisa, phatman, Amata and 4 others like this. Thanks for making this , It looks amazing. DaoRisa, Ar.ia.dne, MissPK and 3 others like this. RoseIsMe, DaoRisa, Rachfull and 7 others like this. Phet and Waawa are also in here but not sure if they are playing the 2nd leads or 2nd couple. Can anyone confirm? DaoRisa, MissPK, Fikachu and 1 other person like this. They were trending earlier at 3 ! phatman, Mycthao, Fikachu and 3 others like this. It says this role is a role Wawwa has never played before so maybe a 2nd lead? I’m just excited to see Phet in here too! More PhetBella <3 I’m really liking their look in here though. Khun P’ turning into a baddie lol. DaoRisa, phatman, MissPK and 5 others like this. DaoRisa, Xiongurl26, pangiaxiong and 1 other person like this. Damn hes looking so good. DaoRisa, Magal55, Xiongurl26 and 2 others like this. i am just so in love with this pairing! Bella is such a fun and outgoing girl in real life and Pope is such a shy boy! 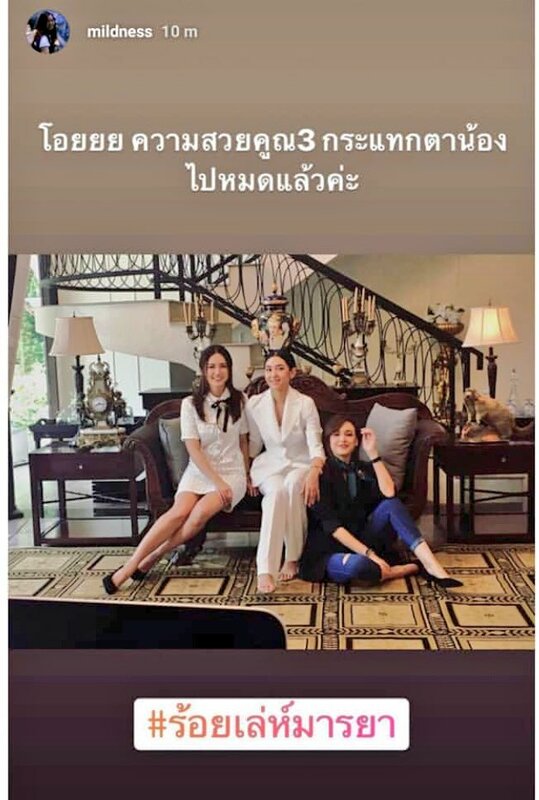 Im glad this is their next lakorn. I am getting really tired of all of these boran lakorns! DaoRisa, Rachfull, Carthun and 5 others like this. pangiaxiong and Fikachu like this. Rosi4, phatman, Amata and 5 others like this. Would love to see how different she'll play her role. Lol yes Khun P as a smart [email protected]@ lol, sort of like how he was to Karakade before he fall hard for her. Same here, love them and glad it's a modern for once. So someone said there's a lot zaap/hot scenes in there. So maybe more kisses? S.J.M, MissPK, Xiongurl26 and 2 others like this. Anyone knows what the relationships are here? spades, Xiongurl26 and pangiaxiong like this. RoseIsMe, DaoRisa, MissPK and 2 others like this. DaoRisa and Mycthao like this. DaoRisa, Xiongurl26 and pangiaxiong like this. Rosi4, phatman, DaoRisa and 2 others like this.